Pre-registration for the 2019 Monster Cookie is now closed. Packet pick-up and day-of-ride registration will begin at 8:00 a.m. and will close at 10:00 a.m. in the State Capitol Plaza Mall on the north side of the Capitol Building. The day-of-ride registration fee will be $40, plus an optional $22 for a souvenir t-shirt. 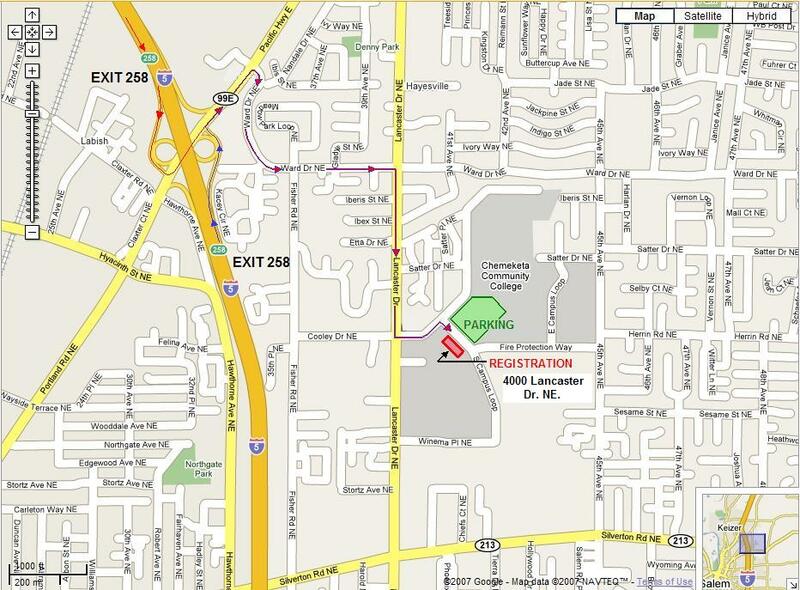 To get to the State Capitol Plaza Mall from I-5, take the Market St. exit (#256). Go west 1.7 miles to Summer St. Turn left and go 0.5 mile to the Capitol Mall. 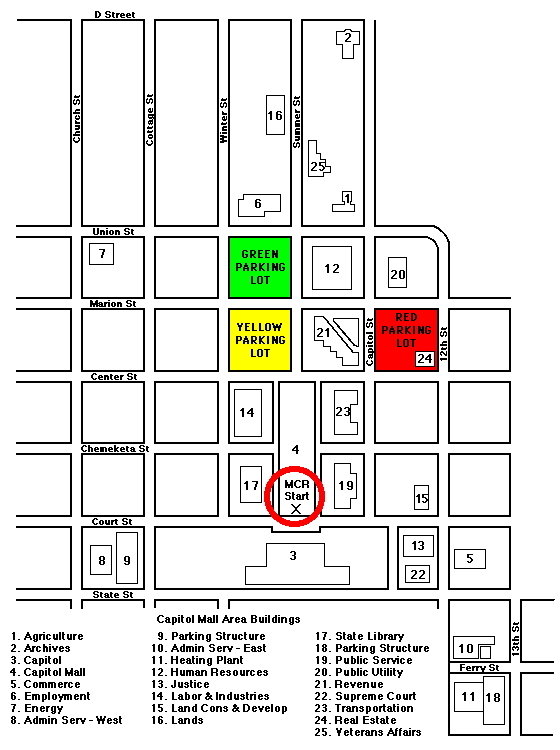 Parking is available on the day of the ride in the state parking lots at the north end of the Capitol Mall and on area streets. The Monster Cookie Metric Century Bicycle Ride is the Salem Bicycle Club's premier spring event. The ride starts at the State Capitol Mall in Salem and takes riders 62 miles (100 km) over back roads to Champoeg State Park and back to Salem. Participants desiring a shorter ride can ride to the first rest stop and back for a 34-mile ride. The ride is open to bicyclists of all levels who agree to Share the Road with other users by riding safely, lawfully, and courteously. Each participant must wear a helmet that meets CPSC requirements. The route is generally flat with a few short hills and follows much of the Willamette Valley Scenic Bikeway. This year marks the 10th anniversary of the bikeway and the State Parks and Recreation Department will host a celebration table with cake, copies of the new scenic bikeway maps, and other commemorative items. The map of the route offers a preview of the ride. GPS users can download a GPS track of the route. Snacks, fruit, refreshments, and toilet facilities are available at a rest stop and at Champoeg State Park. The route closes at 4:00 p.m. Participants should pace themselves so that they can complete the ride by that time. The first Monster Cookie Metric Century was held in 1977. To learn about that inaugural ride, read Monster Cookie Nostalgia. For more information, contact Hersch Sangster. 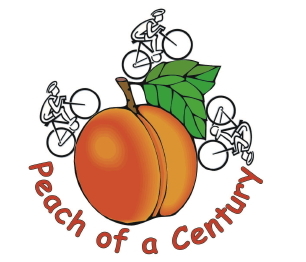 The Peach of a Century is the last of the event rides hosted annually by the Salem Bicycle Club. The ride is open to all bicyclists who agree to Share the Road with other users by riding safely, lawfully, and courteously. The Peach of a Century is not a race and will proceed rain or shine. Each participant must wear a helmet that meets CPSC requirements. Each route starts and ends at Chemeketa Community College. The Full Century route is challenging with some steep hills. The 75-Mile route also involves a significant of amount climbing. The Metric Century route offers flat to rolling terrain with some moderate hills. (See the GPS tracks for more information about total elevation gain on the routes, but note the differences in the vertical scales when comparing the route profiles.) The routes follow low-volume roads past the farm fields of the Willamette Valley, through forested foothills and rural communities east of Salem. The map of the Full Century offers a preview of the route. A map showing the 66-Mile (Metric Century) and 76-Mile routes is also available. GPS users can download tracks of any of the three routes--the Full Century, 76-Mile route, or Metric Century. There are three rest stops on the 100-Mile route and two on the 66 and 76-Mile routes. All rest stops have food, water, sports drink, restrooms and friendly volunteers. The weather is typically mild to warm in the late fall although we have experienced rain during past events. Bring extra layers just in case. The 100-Mile route goes through Jefferson, Stayton, Sublimity, and Silverton. The Metric Century and 76-Mile routes visit Jefferson and Stayton. All riders must finish by 6:00 p.m. A sag vehicle will sweep both courses at day's end. Rides sponsored by nonprofit organizations and other clubs are listed on the Links page.